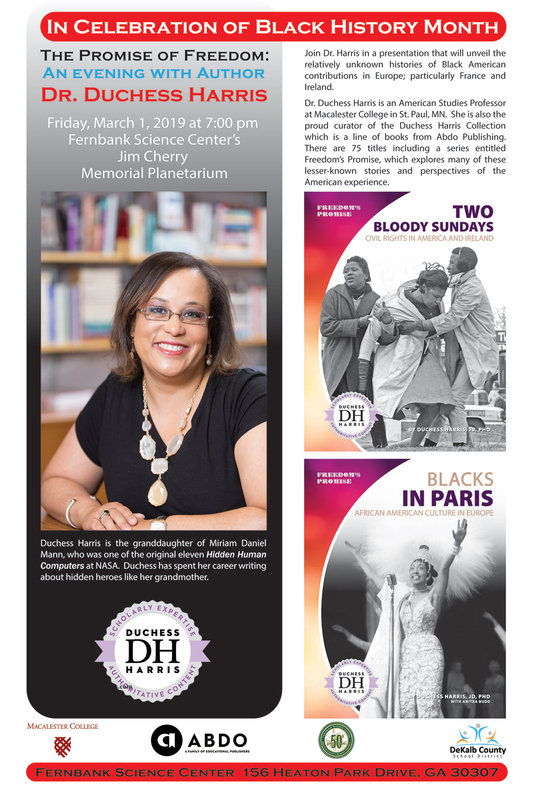 Fernbank Science Center celebrates Black History Month this February with "A Black History Tribute: Head to the Sky," the untold stories of African American contributions in the U.S. space program. These African American pioneers made it possible for current and future scientists to reach for the stars. Program times are January 31 through March 1: Thursdays at 4 PM Fridays and Saturdays at 3 PM. DeKalb employees enjoy free admission by showing their school ID badge. For all others, ticket prices are $7.00 for adults, $5.00 for children, students, seniors and military personnel with ID. 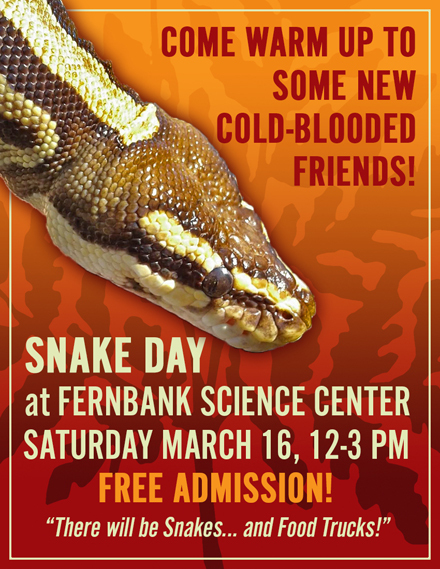 They say you are what you eat, so get to know yourself better by visiting Fernbank Science Center for a taste of science! Enjoy culinary treats as local scientists offer their thought-provoking insight about threats to our food supply and public health through engaging mini lectures. Four different scientists will talk about their interests, passion or current research through the lens of the intriguing relationships between nutrition, human health, and the environment. The audience will be divided into four groups (30 people in each) and will rotate through each scientists’ 15-20 minute talk. Unique appetizers will be available for participants during each talk. All tickets $10. 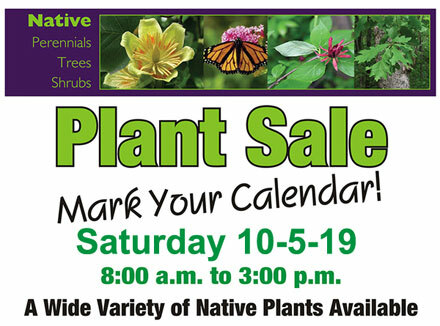 A wide variety of trees, shrubs, and flowering perennials will be available for purchase. Many of the plants are native species that are often difficult to find elsewhere! The Fernbank Science Center horticulture staff will be on hand to provide planting advice and suggestions for gardening problems. February 19 - Full Moon, Super moon. The Moon will be located on the opposite side of the Earth as the Sun and its face will be fully illuminated. This phase occurs at 15:53 UTC. This full moon was known by early Native American tribes as the Full Snow Moon because the heaviest snows usually fell during this time of the year. Since hunting is difficult, this moon has also been known by some tribes as the Full Hunger Moon, since the harsh weather made hunting difficult. This is also the second of three supermoons for 2019. The Moon will be at its closest approach to the Earth and may look slightly larger and brighter than usual.